Located at the foot of the Interstate Bridge on Grant Boulevard. The Athletic Field features tennis and basketball courts, a skateboard park, volleyball courts, baseball and softball fields, restrooms, and parking. In the winter, the concession building becomes a warming house for the adjacent ice skating and hockey rinks that are open after school and weekends. Located on the west end of Main Street. This park is situated on the Mississippi River with a large beach area. The park often hosts weddings and private romantic dinners in the park’s new Gazebo. Walking paths will wind you through the park, passing the picnic shelter with views of the marina. A campground with 48 seasonal sites and three transient sites is adjacent to the park with modern restrooms and showers. Located on the west side of town on Gambia Avenue. Approximately two acres in size, families will find a playground for children, picnic shelter, and picnic tables. Located just off Hiawatha Drive East. This park features a prominent WWI cannon from the early 1900s. The cannon was almost destroyed but, thanks to community members, was placed in the park and has become a landmark near the middle of town. Located off Hiawatha Drive East next to the city pool. This park commemorates Dennis Pfeilsticker, a local ambulance emergency medical technician who served the citizens and the youth of Wabasha for many years. Using memorials, his family sponsored the playground equipment in his memory. Adjacent to the park is the city pool, which features three waterslides and a kiddie pool open early June through Labor Day Weekend. Great for any function. Numerous State & Regional Parks offer an abundance of scenic enjoyment. Enjoy camping, hunting, birding, hiking, horseback riding, canoeing, ATV and dirt biking. This four acre park has two shelters, restrooms, a children’s playground area and free parking. A handicap-accessible fishing dock offers angling opportunities for everyone! Visitors can enjoy the BBQ pit, horseshoes, portable volleyball net and walking trail. Located under the Interstate bridge on Main Street. 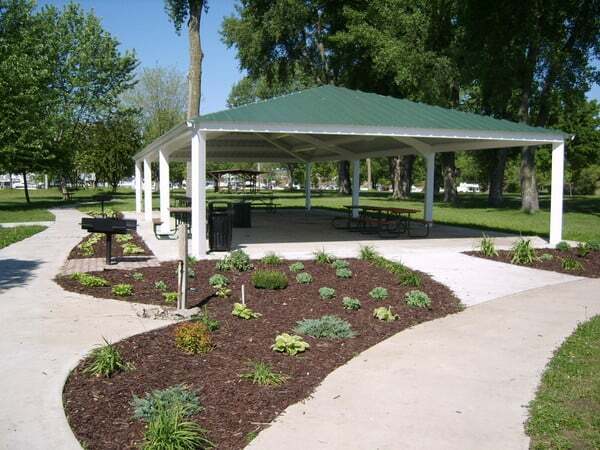 This park has a pleasant picnic table area, benches, and a stage which features entertainment throughout the year. 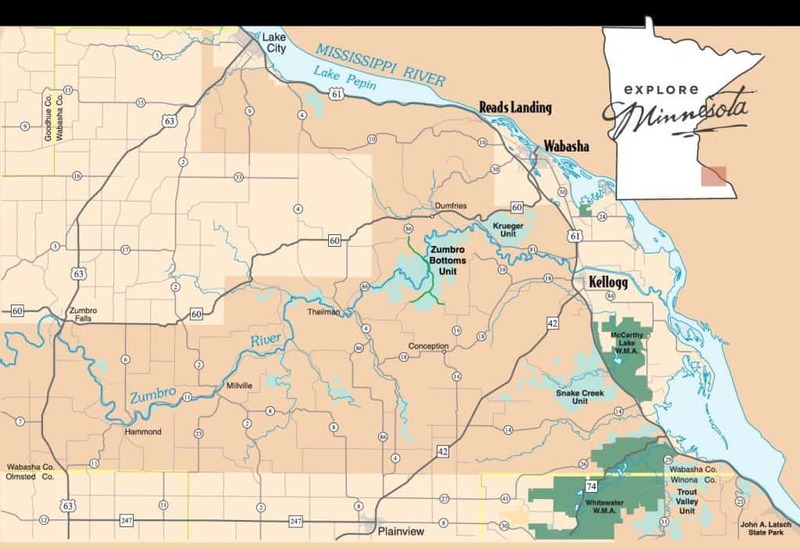 On Fridays in the summer you can see free outdoor concerts sponsored by our River Junctions Arts Council and on Thursdays, from mid-May to mid-October, the Wabasha Farmer’s Market is held here. Located on Rice & Belvidere Street, Kellogg. In the middle of Kellogg’s downtown you will find a large, square block public park with lots of open space, a playground and basketball courts, and a large covered picnic area. Kellogg’s a great community to take the kids to play – and we’re small enough that we don’t have a stoplight anywhere in town! Located off Grant Boulevard across from Malone Park. 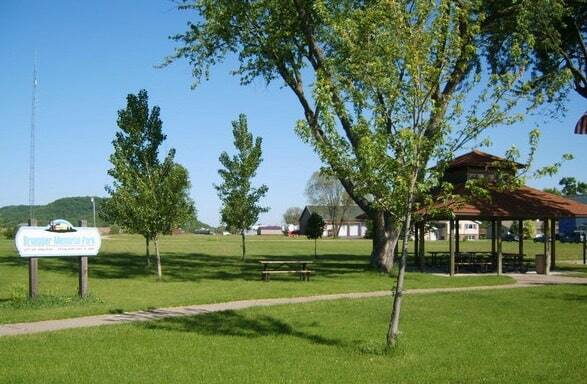 Enjoy the two-acre park with shelter, BBQ pit and restrooms. The park features a large boat launch area, 16 seasonal docks, four transient docks, and an extra long dock handy for launching. A convenient walking bridge connects this park with Beach Park. Located on Bailey and 12th Street. This park’s two acres has lots of space for fun, including frisbee golf and a softball backstop. Close to the backwaters; many people can be seen fishing here. Located on East Second Street. Originally donated to the city in the early 1900s, later the park was abandoned. 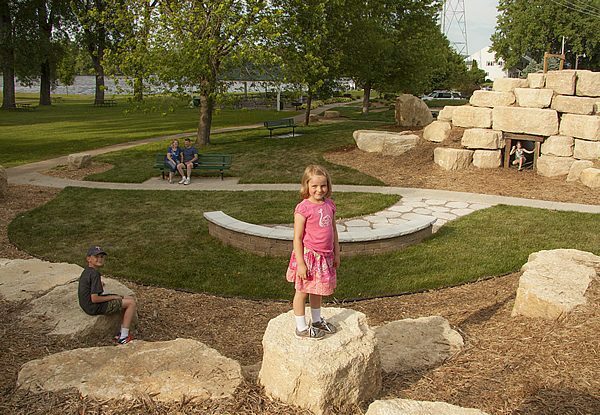 In recent years, the park was donated back to the city by Wabasha resident Paul Busch. Thanks to gracious donations from the community, the park was restored to its original look, featuring a fountain, walkway, entrance posts, antique lighting and flower gardens. Located at the intersection of Hiawatha Drive East and Hwy 60. 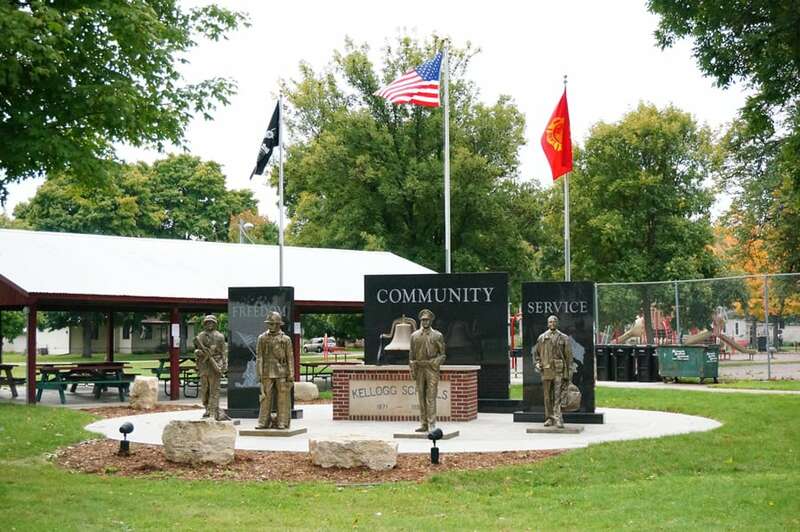 With its Veterans Monument and American Flag, this park serves as the location for Memorial Day services. Birding, fishing, hunting, camping, picnic areas and hiking or cross-country ski trails. 2300-acre park on the bluffs overlooking Lake Pepin with camping, hunting, picnicking, trails, birding, cross-country skiing, snowmobiling, snowshoeing and a winter sliding hill. 350-acre park offers camping, hunting, picnic areas, a half-mile trail leading to the top of Mt. Charity and three overlooks 500 feet above the Mississippi River. Offers wheelchair accessible trail, fishing, hunting, hiking trails, canoe access, picnic area with shelters, nature trails and campsites. Two trail systems varying in length and difficulty available for all trail users except 4-wheel-drive vehicles. Hunting and on-site and off-site campgrounds available. camping, hunting, cabin rental, swimming beach, hiking trail, cross-country ski trail, visitor center and rentals. Three campgrounds, West, Central, and North. All three can be used for picnicking, hiking trails, hunting, canoeing and horseback riding.